‘Free as a bird’ was written by John Lennon in 1977. Two decades later, R. Kelly released the hit single “I believe I can fly’ in 1997. How many of us, even before these songs were made popular, held a fervent hope and wish to be able to fly . . . soaring above the clouds, free as a bird? The passion to be an aviator is instilled in most of us at a very young age – whether it was your first journey overseas or perhaps the respect commanded by the pilot of the aircraft you travelled in, or even just the feeling of looking out of your window-seat at an endless expanse of clouds, with the sun rising and setting at its own whim, or simply the exhilaration of defying gravity. It is in understanding this passion that Skyline Aviation was established in 2006 and has expanded over the past 8 years, to offer the gamut of aviation-related courses, whether you are a budding aviator or a busy professional who has achieved success in your chosen career pathway, but still harbor that innate need to fly. 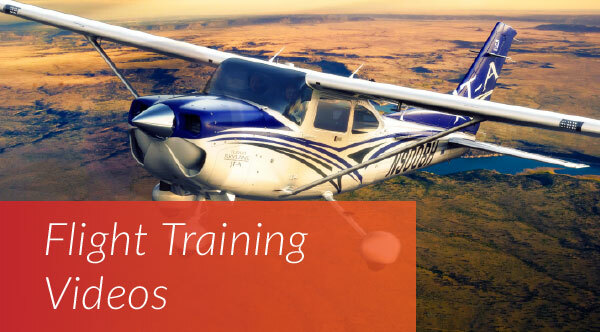 Should you aspire towards being a professional pilot, your integrated training program at Skyline would commence with the Private Pilot Licence (PPL) and move on to the Commercial Pilot Licence with Instrument Rating (CPL/IR) as well as the Airline Transport Pilot Licence (ATPL Frozen). Your course of training would be completed with the Multi Crew Co-operation (MCC), which is a Jet Conversion course conducted in the A320 or B737 NG simulator, as transition from light single-engine aircraft to the big jets, enabling you to take your place as a Junior First Officer in an airline. All courses are conducted with the approval of the Civil Aviation Authority of Sri Lanka, and are conducted in Sri Lanka, with options of completing the MCC also available in Dubai, Singapore, Malaysia or the Philippines. Being aware that a passion for aviation starts young, Skyline’s Introduction to Aviation course is aimed at budding young aviators who would like to learn more about the opportunities and developments in this exciting field during their school holidays. Conducted during the holiday periods of April, August and December each year, the course covers three parts, with each part being an advancement of training from the previous. If you are already an established professional with a busy schedule, Skyline offers you a specially designed package – the ‘PPL PRO’. With personalised instruction conducted at your convenience, you can be a private pilot, flying with friends and family over the beautiful landscape of Sri Lanka, covering Koggala in the South to Anuradhapura in the North, and Colombo in the West to Trincomalee in the East. However, if you simply want to experience the freedom of flight before committing to the PPL, Skyline offers any individual over the age of 14 years the opportunity to fly a familiarisation flight with our Chief Flight Instructor, who will guide you through some basic aerial manoeuvres, while you enjoy the scenic views over Ratmalana and Katukurunda. Some of us, while enjoying the thrill of being able to fly, are more fervent in our desire to understand how an aircraft takes to the sky, and safely transports both pilot and passengers from one destination to the next. It will always be debated whether it is the pilot or the aeronautical engineer that plays a more pivotal role in the aviation industry. In reply to those of you who believe that it is the aeronautical engineer, Skyline offers you training for the Aircraft Maintenance Licence (AML), a comprehensive three-year course of study, including one year of industrial ‘on-the-job’ training. A pilot or an aeronautical engineer – with Skyline, the choice is yours ! Those interested in following Skyline Aviation’s Commercial Piloting program for the Private Pilot Licence and Commercial Pilot Licence or the Aeronautical Engineering program for the Aircraft Maintenance Engineering Licence should contact Skyline Aviation on 0114 210 300 or 0112 635 600.